Respected as a highly popular panel across the globe, cPanel aims to create a friendly ecosystem for the clients by spreading awareness and technical information in the simple-to-understand, jargon-free language via diverse platforms and formats. It offers a wide array of an informative resource like detailed documentation, knowledgebase and media tutorials to offer a better understanding of the subject. However, one major initiative by cPanel that deserves a separate mention is the cPanel University a professionally run online platform run by expert trainers who impart free online training sessions to help netizens acquire and enhance their cPanel knowledge. cPanel offers quality assistance to the end users for successfully resolving web hosting challenges while at the same time it equips the hosting service vendors to gear up their business potential with the help of improved management capabilities. Constant evolution and community-driven endeavors are two strong points that have offered a distinct position to cpanel. However, the window clients might find it a bit inconvenient to work with cPanel as it would need a virtualization system. Plesk enjoys a premium position as one of the most beginner friendly control panels. Plesk enjoys the leading position especially in the US and Europe. It fully supports windows while at the same time it offers strong compatibility for most of the popular Linux versions. Plesk user interface is a hit among the beginners and non-technical clients because it offers a clutter-free look, simple processes, and easy steps. Plesk also helps advanced users by offering them extended capabilities for a personalized experience and better customization capabilities. If you are looking for an easy and fast interface and doesn’t have any specific requirements for heavy functionalities then you can go for DirectAdmin. Especially designed to support diverse basic functionalities, DirectAdmin is a friendly panel for new and nontechnical resellers that will not overwhelm you with a plethora of advanced tools and menus that you don’t require. It is a great asset for the hosting providers who are looking to acquire advanced admin skills without going through complicated processes. It offers you a sophisticated ecosystem for advanced monitoring and permission capabilities. If you are not sure about the relevance of the panel for your needs then you can first try its free web edition that comes with certain limitations but allows you to enjoy major key functionalities. Developed by ISPsystem, ISPmanager is easy to use control panel available in two editions. It has a prove track record of providing advanced professional capabilities to the clients for the last 20+ years. While the panel’s commercial popularity is concentrated in East Europe its capabilities transcend across a number of platforms and use cases. It can efficiently tackle any number of domains and offers extended customization for perfectly catering to the specific requirements. Two USPs of the ISPmanager are cost and competency. It is easily affordable for small clients due to its highly economical prices. At the same time, you would also enjoy the sophisticated features that are comparable with leading hosting panels. 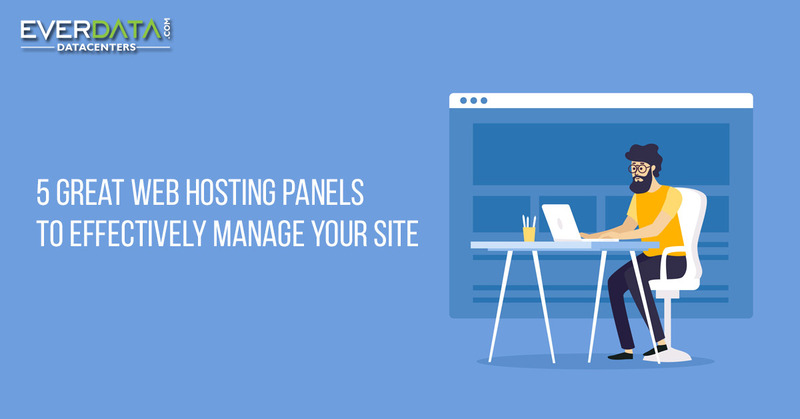 Which hosting panel is right for you? If you are not sure about the best hosting panel to choose from the above list then you can choose either of the 2 most popular panels- cPanel and Plesk as both of them come with business-friendly features. Offers complimentary SSL certificate for every website to gain better trust among visitors and potential clients. The company intends to develop the technical skills as well as the entrepreneurial potential of the hosting providers by spreading education in easy to digest format. 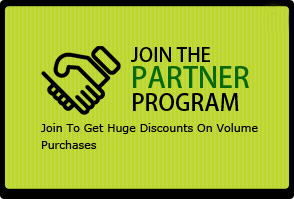 Along with building Plesk-specific skills the company’s educational endeavors also allows the hosing entrepreneur's providers to acquire better e-commerce techniques, recognize the latest trends of online business and hone their marketing skills. Plesk works equally well across a number of Hosts and operating systems that extends the choice menu for the clients and offer them the freedom to choose the right OS/platform that fits their needs. It also allows them to change the OS or platform in the future as their requirement changes. The Gitman extension allows for an easy Git Integration with extended support features. With the help of Docker support, the Plesk allows the clients to launch images from Docker right from the Plesk windows. It saves there team and efforts by eliminating the need of command line process. With its single-click SSL certificate activation functionality, Plesk makes it very easy for the clients to enjoy the SSL advantages without any complicated process. Additionally, it also offers an easy ecosystem for effectively managing SSL lifecycle like accessing details, updating or running HTTP2. Plesk offers a single click option for the clients to delegate their word press security management. So with just a single click, the users can transfer complete Security management of their WordPress site to the Plesk including latest patches, version and plug-in updates, bug fixes, etc. While Plesk helps the beginners with its clutter-free look, quick navigation, and easy functionalities, the tech-savvy users would also be able to extend their capabilities with the help of Plesk’s advanced technical commands. At the same time,it also offers a number of developer-friendly capabilities. A large number of hosting panels are available in the market to take care of your site management needs. So, it can sometimes be overwhelming to choose the best hosting panel that is relevant to your needs and perfectly aligns with your technical proficiency. 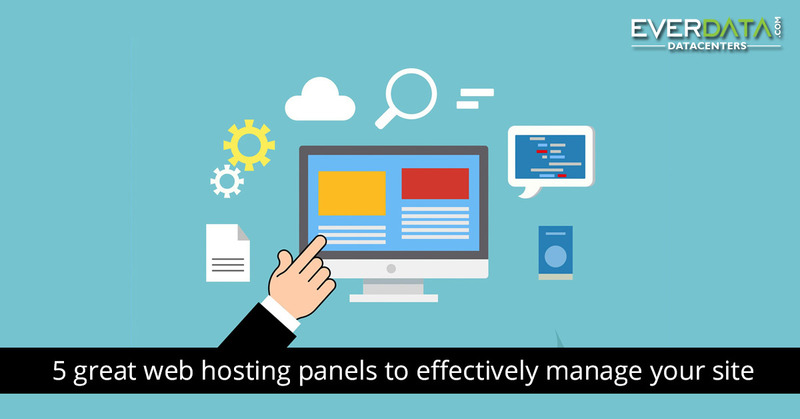 In this blog, we have mentioned top 5 hosting panels that offer varying degrees of efficiency and feature set so that you can be able to wisely choose the right option that caters to your needs without limiting your capabilities.